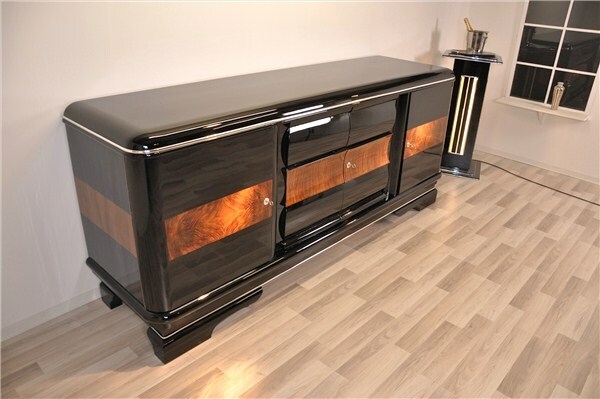 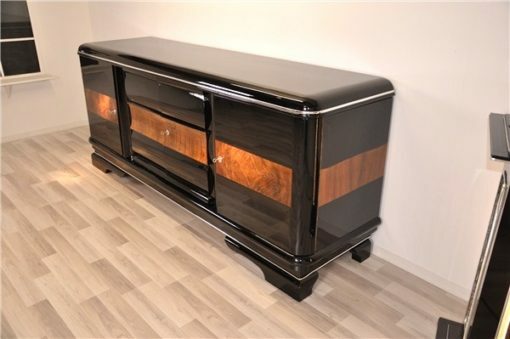 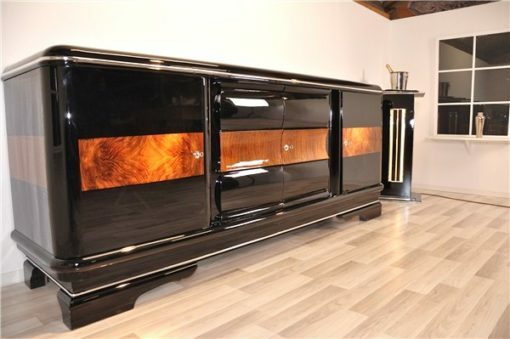 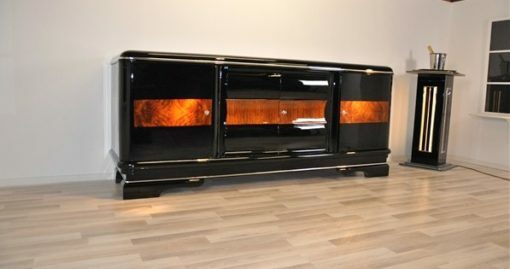 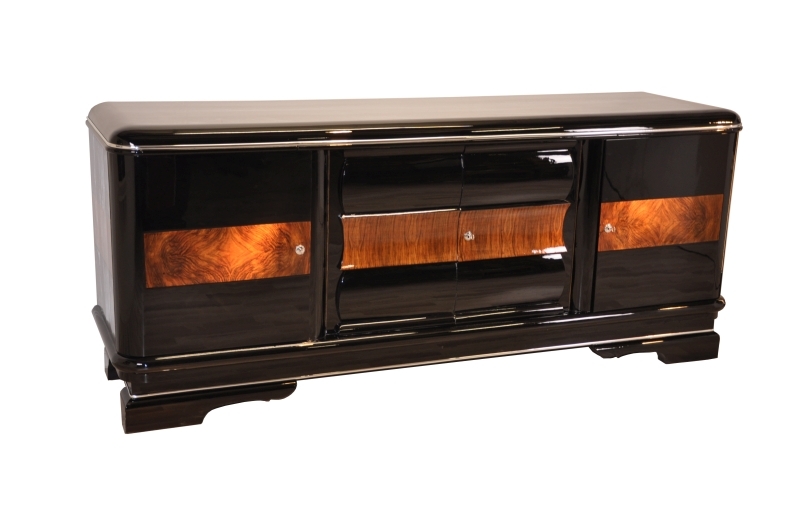 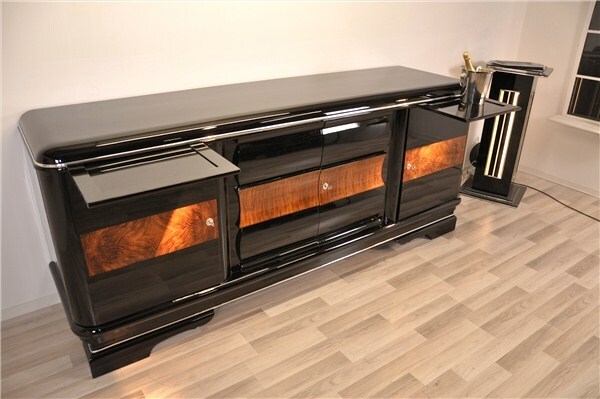 Large Art Deco sideboard with curved middle compartement, beautiful walnut veneer and two serving extensions on the left and right. 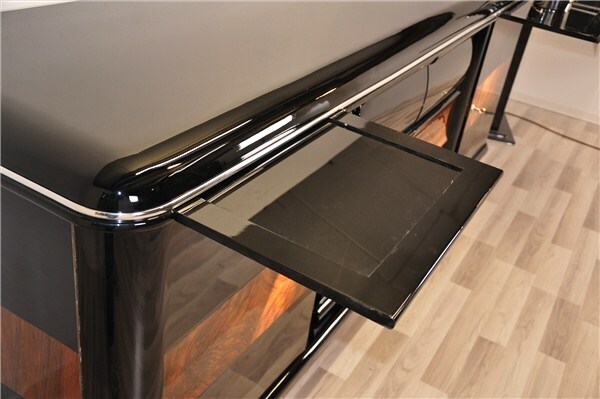 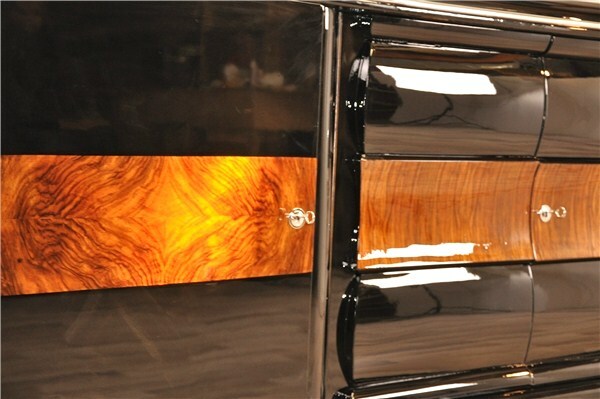 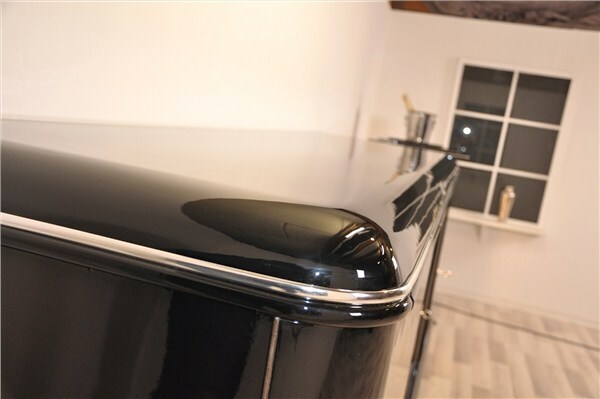 Restored with high gloss piano lacquer and fine chrome bars. 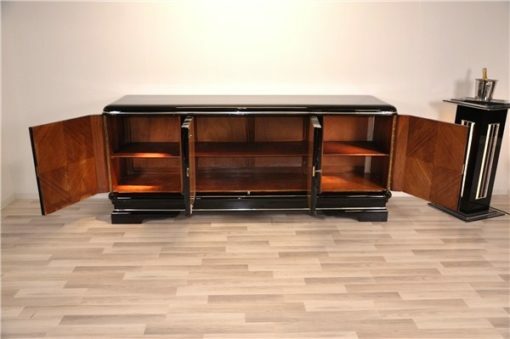 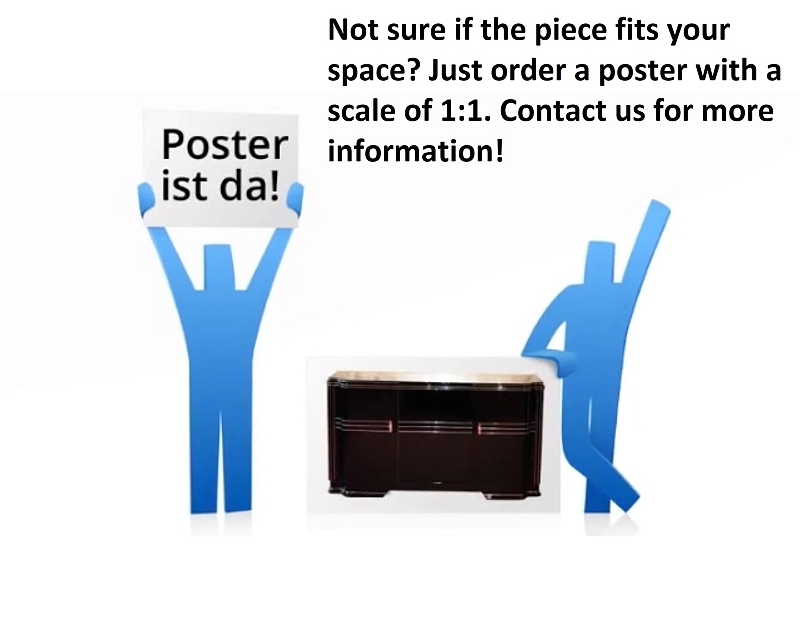 WIth french feet and shelves for extra storage space. 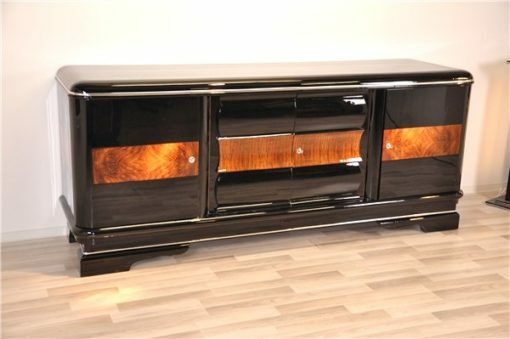 Second piece out of a pair – veneer may vary slightly.